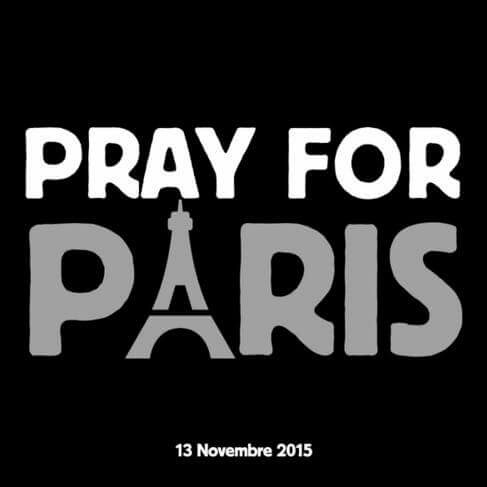 consequenceofsound.net wrote: The city of Paris was stricken by a series of terrorist attacks on Friday night. The latest reports have at least 60 dead and many more injured. Among the targets was the music venue Bataclan, where Eagles of Death Metal were performing a sold-out concert this evening. Police believe terrorists are holding 100 hostages inside the venue. Update – 4:50 p.m. CT: As BrooklynVegan points out, the French band Red Lemons posted an update to Facebook saying they were outside the venue with the members of Eagles of Death Metal when the attack took place. “They’re safe,” Red Lemons’ Facebook page said. “They took a cab.” The mother of EODM drummer Julian Dorio confirmed as much to Washington Post, though she added the whereabouts of several crew members are unknown. Update – 5:30 p.m. CT: Deftones, who were set to perform three consecutive nights at Bataclan beginning tomorrow, are safe and accounted for, according to Substream Magazine. Update – 6:15 p.m.: According to AFP, “around 100” people were killed inside the Bataclan. Interesting that one of the targets was a rock concert and apparently all of the band members are safe. I guess it must have happened before the show started? Seriously, I haven't seen significant pictures of the event yet. Everything is "after the fact" and easily staged. Maybe they need more time to prepare more gruesome pictures and videos. I've just discovered that Friday the 13th is a lucky day in Jewish culture. Another example of "what's good for the Jews must be bad for the Goyim"? Anyway, we know that whatever points to "Islamic terror" is good for Israel. A French Journo, who happens to live outside Bataclan took video footage of people fleeing. They couldn´t let go this 13.11.2015 I guess. For the moment the bodycount settles to 153 (1+5+3=9). But I am sure it will change from time to time. Much videos are found on LiveLeak and Youtube from Paris. Not one from any action so far and Paris is cordoned off for the moment. France even closed the borders. No video i found looks suspicious...in my eyes. datspot wrote: A French Journo, who happens to live outside Bataclan took video footage of people fleeing. November is a 9th month of the 10 month calendar of the distant past as its name suggests and 11th one in a 12 month chronology thereby 9/11 numerology "signature" of a fake event is present. jumpy64 wrote: I've just discovered that Friday the 13th is a lucky day in Jewish culture. Kopfhoerer wrote: For the moment the bodycount settles to 153 (1+5+3=9). "The city of Paris was stricken by a series of terrorist attacks on Friday night. The latest reports have at least 153 dead and many more injured. Among the targets was the music venue Bataclan, where Eagles of Death Metal were performing a sold-out concert this evening. Police say terrorists took many of the concert-goers hostage, killing at least 118. According to CNN, witnesses from inside the venue say there were between six to eight attackers. Update – 6:15 p.m. CT: According to AFP, “around 100” people were killed inside the Bataclan. Update – 6:45 p.m. CT: CNN reports that 118 people were killed inside the venue. Update – 7:30 p.m. CT: Michael Dorio, the brother of EODM drummer Julain Dorio, told CNN that the band was on-stage when the shooting took place. Once the shooting began, the band quickly headed backstage, unharmed, and eventually ended up at a police station. Update – 9:35 p.m. CT: According to NBC News San Diego, all of the principal band members are safe and accounted for. However, one crew member was killed and another was injured. The Paris football stadium Stade de France was also targeted, with several explosions heard outside the venue. At least one of the explosions is confirmed to have been a suicide bombing. The stadium was hosting a soccer game between French and German national teams. This is a developing story…"
Someone nearly shot him...he is cool. And we have the invention of the bulletproof smartphone. "Voilà, here's the phone which, after the shot...well, this is what saved me ... otherwise my head would have, well, exploded... voilà..." [ Interviewer asks about his wounds - so he then points at his foot and says:] "Well, there's also the, the... [INAUDIBLE - it almost sounds like he says "the Breivik!.." Note: there's a rather obvious audio edit there] who blew up my other shoe, so they put a bandage around my toe - and I have also taken an impact here [shows his belly / covered by stained T-shirt] which penetrated here, so they bandaged that right here... and it was thanks to my jacket, which absorbed the impact of the........ [stops talking / doesn't mention 'bullet'] so, frankly, I don't wish for this to happen to anyone..."
The day before what happened in Paris, in Milan, Italy, a member of the local Jewish community, Nathan Graff, was stabbed on the face by a masked aggressor. He says he was attacked not to be robbed, but just because he's Jewish. Of course, people suspect the aggressor to be Islamic. There are photos of the victim, but before the event, because the family didn't want images of the injured man to be published to avoid scaring his family. He's wounds are not considered particularly severe, though. In the video, while showing the location of the attack, the journalist says the guy was attacked in Via San Gimignano, where he lived, "between the number 12 and the number 14" (his exact words translated into English). As it happens, between 12 and 14 there is the number 13 (although of course the actual number 13 of Via San Gimignano must be on the other side of the street). Coincidence or reference to the attacks in Paris? Anyway, we have an attack against a Jewish man in Italy, with heightened security in the the already much protected Jewish communities and synagogues all over Italy as a consequence, just the day before the Paris attacks. Doesn't this reinforce, at least locally, the image of Jews = victims and Muslims = aggressors? And by the way, on the same day in Rome, a Chinese woman was attacked by two men and burned with acid on her face and hands. She didn't say she had been attacked because she was Chinese, so no heightened security around the local "Chinatown". Last edited by jumpy64 on Sat Nov 14, 2015 10:46 am, edited 4 times in total.